I have been playing around with the Oh So Succulent, which is one of my favorites, but sad to say is going away. 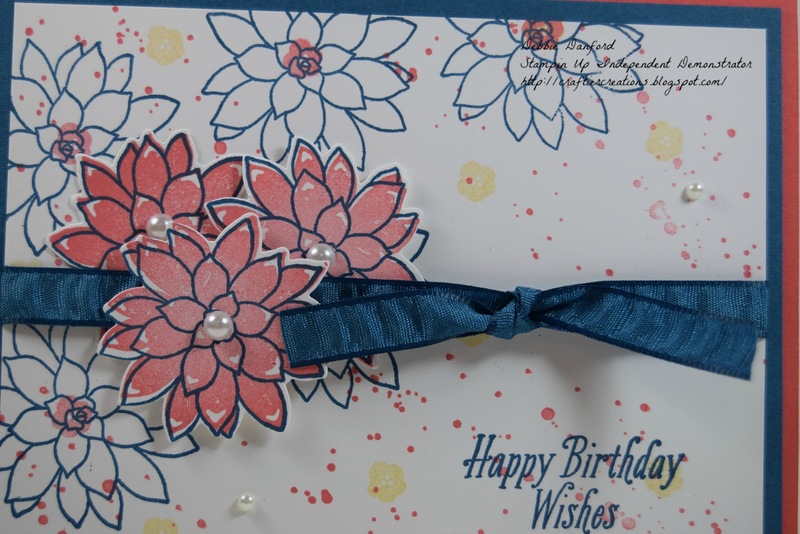 I stamped the flower from Oh So Succulent in Dapper Denim & the inside with Calypso Coral. The splatter background is from Gorgeous Grunge. 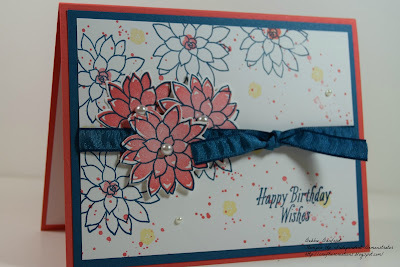 I then stamped three flowers with Calypso Coral & die cut them out. 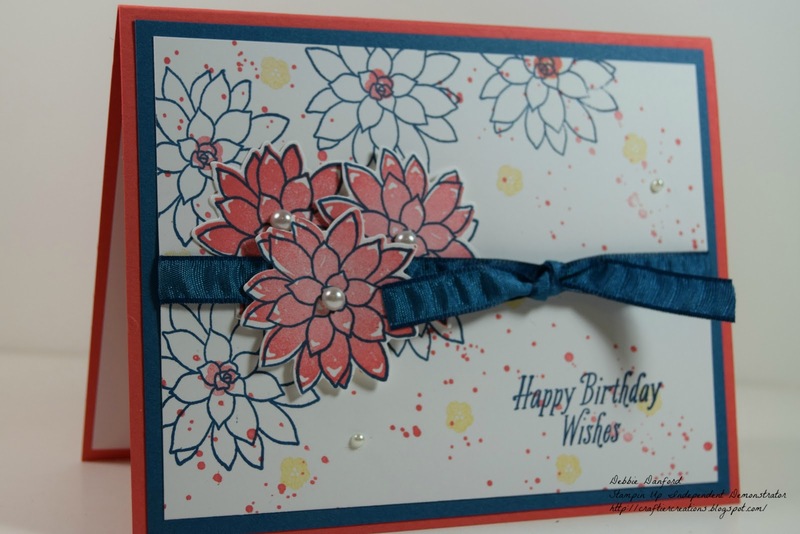 Added some Dapper Denim Ribbon then attached the flowers with dimensionals, and don't forget the bling!! No card is complete with out it.